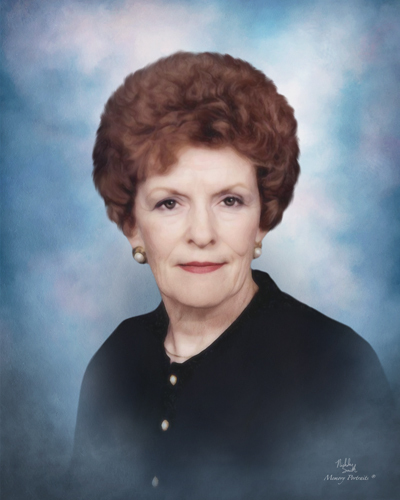 Mrs. Joan Hellard Gwynn, 83, of Thomasville and formerly of Greensboro, passed away Sunday, August 26, 2018, at Almost Home Group. Funeral services will be held 2:00pm Wednesday, August 29, 2018 at George Brothers Funeral Service. The family will receive friends one hour prior to the service at the funeral home. Mrs. Gwynn was born on April 20, 1935 in Rowan Co., to the late Theodore Charles and Eleanor Myers Hellard. She was a member of Victory Baptist Church in Mt. Airy and was retired from Sears. She also worked for Avis and Budget Car Rentals for many years. In addition to her parents, Joan was preceded in death by her husband, Joseph Russell Gwynn and a brother, Ronnie Hellard. Survivors include her two daughters, Donna Shoaf (Terry) of Archdale and Dawn Jackson (Jeff) of Greensboro; six grandchildren and eleven great grandchildren. The family would like to express their heartfelt appreciation to Kathy Hatfield and all of the staff of the Almost Home Group for their love, care and support given to Joan. In lieu of flowers, memorial contributions may be made to Almost Home Group, 111 Circle Drive, Thomasville, NC 27360.